Do you have leaking showers? Is your bathroom looking tired? I specialise in leaking showers and grout removal to make your showers like NEW!! Leaking Shower Solutions uses the most advanced shower regrouting repair tools. We provide a leaky shower regrouting service without removing a single tile! By using our tile regrouting techniques I can extend the life of your shower for a fraction of the cost compared to re-tiling, or a complete bathroom renovation. 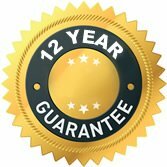 Our grouting methods are less intrusive to your lifestyle allowing you to take a clean, hot shower within 24 hours of sealing your leaking shower, all with a 12 year guarantee. Give us a call today on 0407 545 417 or click here to enquire online.